Want some free books? Enter to win! Ends March 29th. Get your hands on a copy of this exciting novel now and stay tuned for my review! Heather McKenzie is back with the second instalment of the Nightmusic Trilogy! Nocturne is the second book in the trilogy following the highly successful debut novel, Serenade. Nocturne is available for ebook purchase on March 20th and will be available in print on July 10, 2018. Check out my review of Nocturne! Want to win a mystery box from Clean Teen Publishing? Check out the giveaway below! The giveaway ends on MARCH 29TH so make sure to get your entry in fast! Read further for an excerpt of Nocturne and for more information about this up and coming Canadian author. Don’t forget to pick a copy Nocturne! Author thepluviophilewriterPosted on March 19, 2018 March 20, 2018 Categories Book Banter, ContestsTags clean teen publishing, contest, giveaway, heather mckenzie, nightmusic trilogy, nocturne, xpresso tours, YALeave a comment on Want some free books? Enter to win! Ends March 29th. Enter to win a sweet mystery box from Clean Teen Publishing! 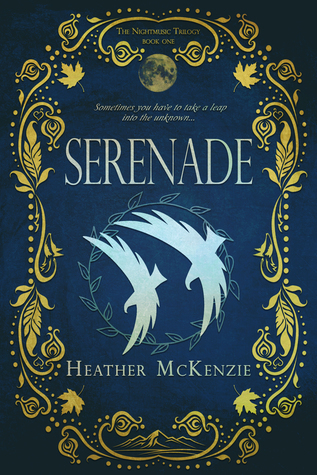 Remember that time I read and reviewed a rad YA novel called Serenade? Well the book has officially been published as of today and the author and the publisher are doing a GIVEAWAY!!! Click below to enter to win a sweet mystery box from Clean Teen Publishing. The giveaway ends on APRIL 23RD so make sure to get you entry in fast! Read further for an excerpt of Serenade and for more information about this up and coming Canadian author. Don’t forget to pick a copy Serenade! Author thepluviophilewriterPosted on April 17, 2017 March 19, 2018 Categories Contests, PromotionalTags clean teen publishing, contest, giveaway, heather mckenzie, serenadeLeave a comment on Win a Mystery Box!